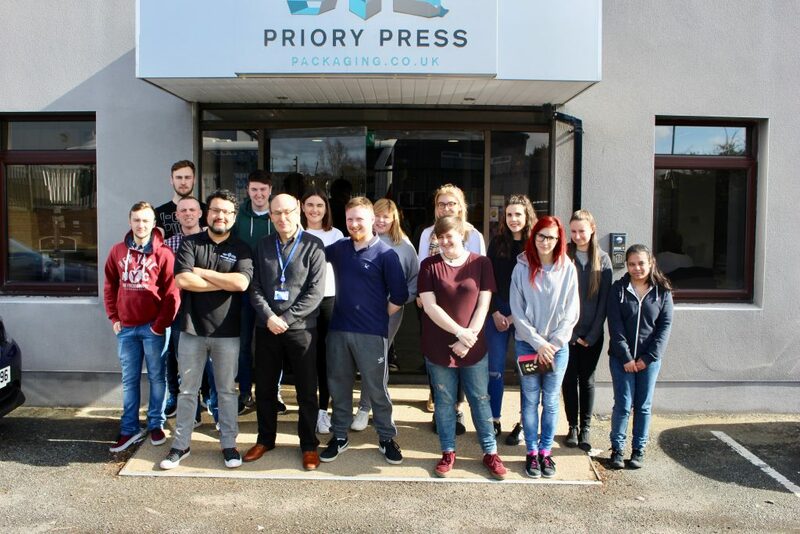 We had a visit from Belfast Met Graphic Design Students! 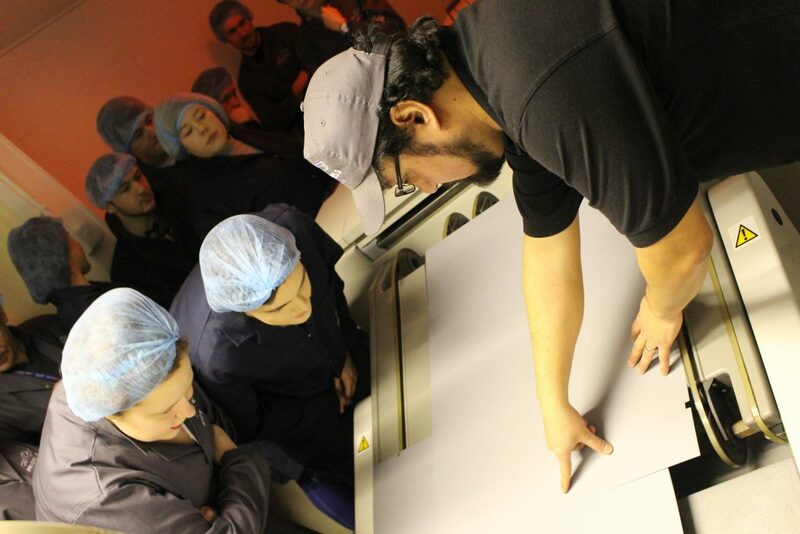 Today at PPP HQ we had a visit from Graphic Design students completing their HND at Belfast Met! 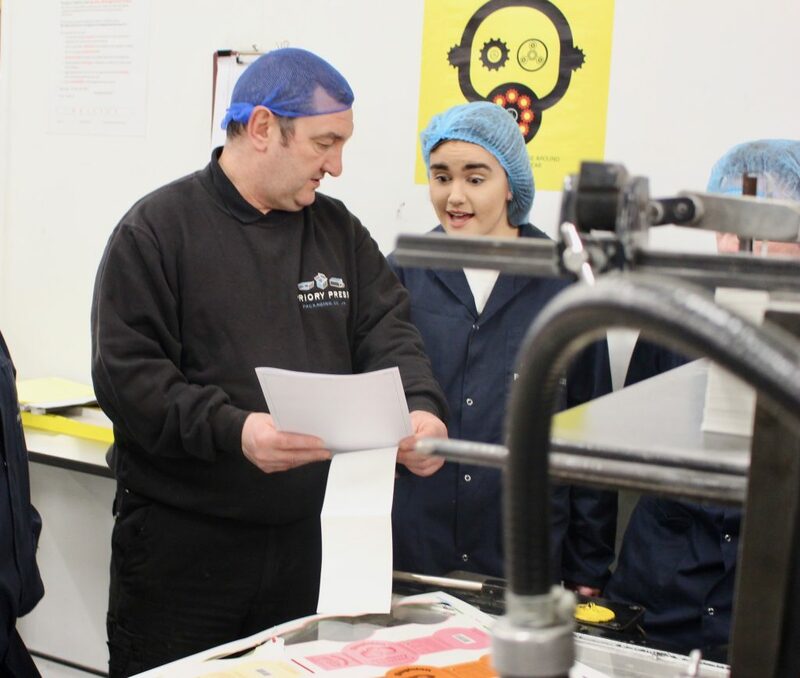 They are currently studying their packaging module, and what better place to be than PPP to see how packaging is created from start to finish. 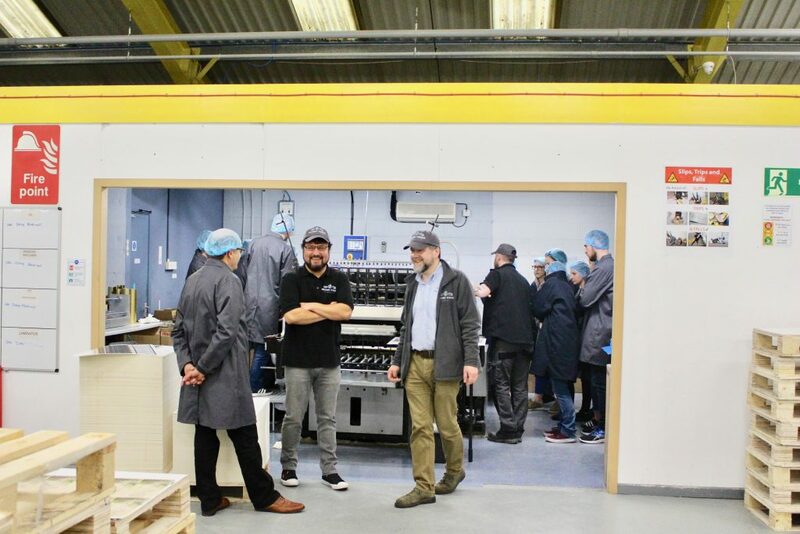 Oscar, one of our studio designers, is not only a former student of Belfast Met but also a previous student of Dermott Dunbar, the students tutor & lecturer who attended the PPP tour alongside them. The students were given our sample pack and some of our famous / infamous chocolate business cards. 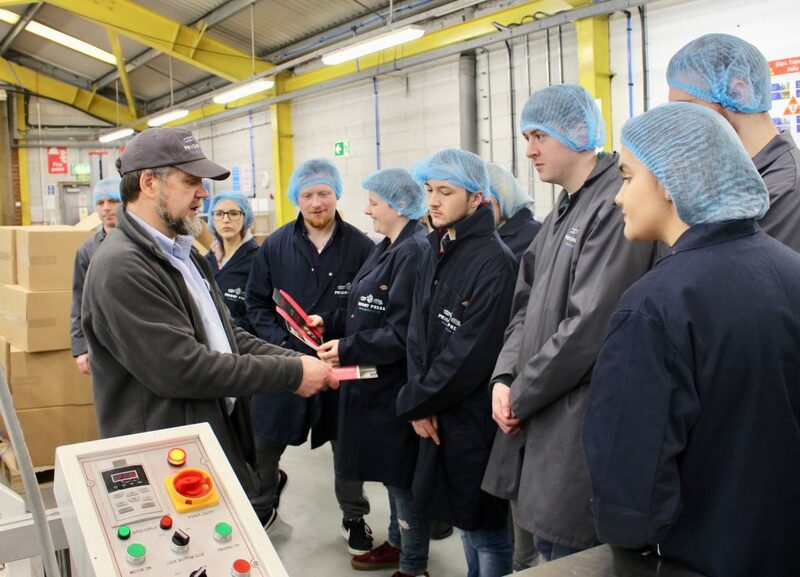 Oscar, Donald (our studio manager) and our diligent production team took the students through each of the processes that a sleeve or box has to go through to make it onto the supermarket shelf. The students have been tasked with a live project – with this brief below. Well they were in the right place for inspiration! 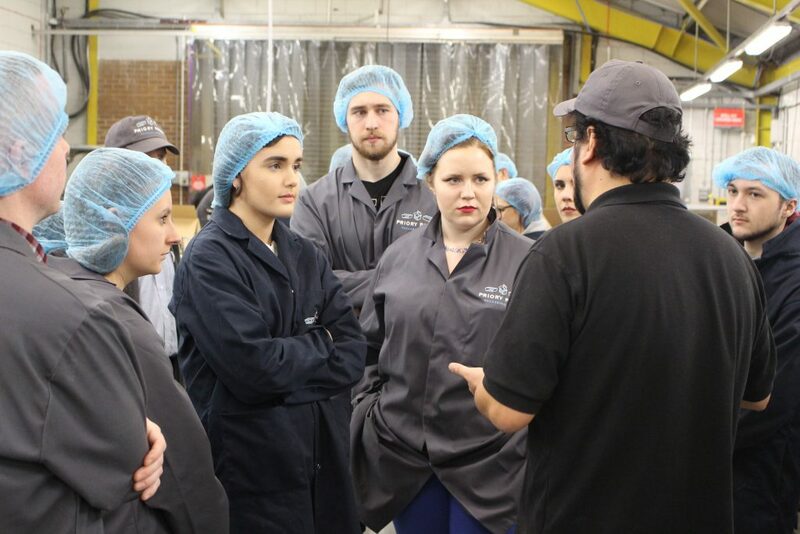 We hope that this was useful experience for the students and that the insight into how PPP and packaging works will aid them in their competing designs. 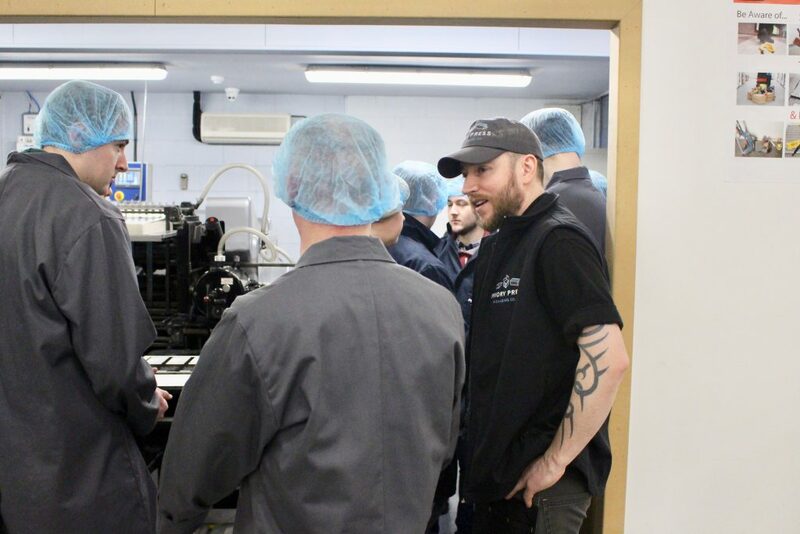 We think they may have been most impressed with our double sided tape guns – perhaps Mr Dunbar can get a few in! It was a pleasure to have them visit and we wish them the best with their competition project ?